It’s my little boy’s birthday tomorrow and I’m thinking of nice gifts for him that would make him excited. He loves super heroes since he was a toddler and throughout these years I always give him things with super heroes theme or designs like coloring books, pencil case, school bags, shirts, toys and miniature characters. He really likes collecting all of them in his cabinet even until now that he’s in grade school. I’m having some thoughts now of having those cute superhero beach towels at Personal Creations.com for him on his birthday tomorrow. 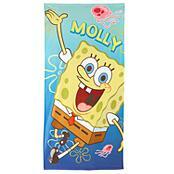 I’m pretty sure that he’ll love it and will want not just one but varied towel with different designs and characters. It’s not only good for his collection but good for his personal needs also like in his bath time. I’m guessing now what will going to be his choice for the super hero design, would it Spiderman or Iron Man? 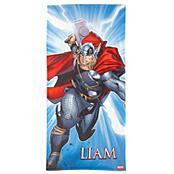 He can also choose among other characters there like Captain America, Thor, Hulk and others. He’s really excited now for tomorrow’s birthday.